Stonebrook- Private Entry ; walk-in closet; washer & dryer hookup. The Stonebrook is perfect for anyone looking for luxury living. This two story townhome includes washer/dryer hookup, a dining area, and breakfast bar. 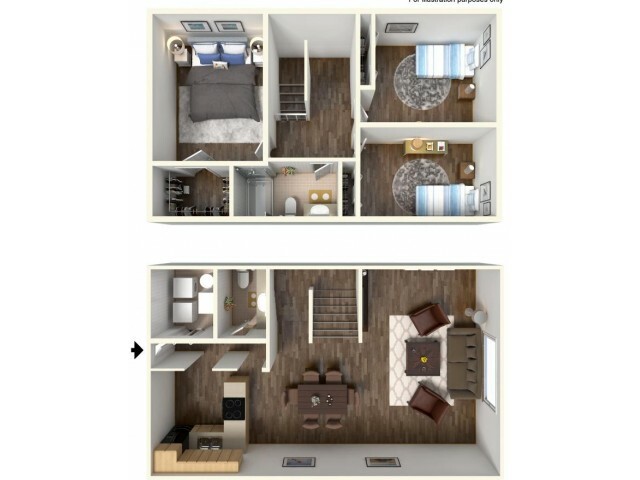 The upstairs includes a walk-in closet in the master bedroom and easy access to the full upstairs bathroom. This private entry townhome is a star!